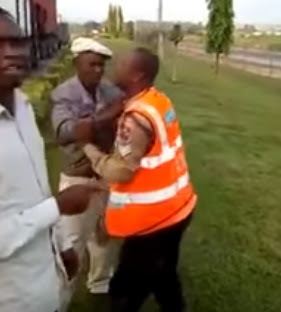 Check out the drama that happened in Lagos recently between a danfo bus driver and two FRSC officials who seized his vehicle key. The obviously frustrated driver was seen manhandling the Federal Road Safety Commission officials while demanding for his key. He was urged to stop but didn’t yield to warnings.